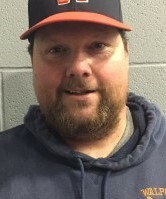 Coach Costello took over the Walpole baseball program in 2015 for retired, legendary coach Bill Tompkins and has kept the momentum going as Walpole has continued to see great success. A Walpole HS graduate who had brief stints in the Red Sox and Los Angeles Dodgers farm systems, Coach Costello has quickly earned a reputation for developing pitchers. The MBCA is pleased that Coach Costello will be sharing his pitching program and philosophy with its members.